https://www.dancetime.com/dance-talk/salsa-lessons-san-diego/ DanceTime Global presents a salsa cross body lead with a free spin variation demo by Pattie Wells & John Chaparro for dancetime.com Filmed at the Dance For 2 Studio, San Diego, California, U.S.A.
https://www.dancetime.com/dance-talk/salsa-lessons-san-diego/ A Salsa hook turn footwork described and demonstrated by John Chaparro (JD) for Pattie Wells' DanceTime Global at Dancetime.com. 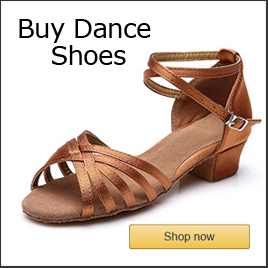 Filmed at Dance For 2 Studio, San Diego, California, U.S.A.
https://www.dancetime.com/dance-talk/salsa-lessons-san-diego/ A demo of a great drill to practice the rock steps for Salsa by Pattie Wells, owner of DanceTime Global at dancetime.coml. 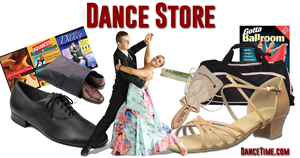 Pattie teaches a limited number of private dance lessons only at Dance For 2 studio,in San Diego, CA. https://www.dancetime.com/all-about-dancing/rumba/ A demo of the American Rumba Box with Underarm Turn for the follow part by Pattie Wells, owner of DanceTime Global website. Pattie teaches a limited number of private lessons in San Diego, CA at the Dance For 2 Studio. https://www.dancetime.com/dance-talk/ballroom-dance-american-foxtrot-part-1/ A demo of the Foxtrot basic step by Pattie Wells for DanceTime Global world resource dance website. Pattie teaches p private lessons only in San Diego, CA. https://www.dancetime.com/dance-lessons-san-diego/ West Coast swing left side pass review by Pattie Wells, who currently teaches private lessons only in San Diego. Filmed on location at Dance For 2 studio. https://www.dancetime.com/dance-talk/salsa-lessons-san-diego/ A salsa cross body lead with a Lead's left turn with John Chaparro & Pattie Wells. https://www.dancetime.com/dance-talk/salsa-lessons-san-diego/ Pattie Wells & John Chaparro demonstrate and discuss a Salsa cross body lead. Filmed in San Diego for DanceTime.com at the Dance For 2 Studio. 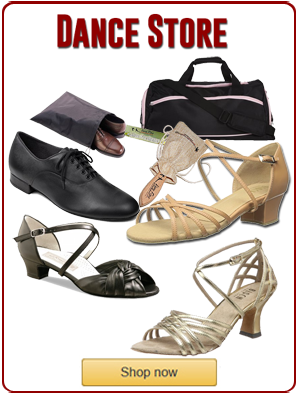 https://www.dancetime.com/dance-lessons-san-diego/ The Salsa basic step demonstrated and reviewed by Pattie Wells and John Chaparro includes a brief review of foot placement using a moving basic rather than a static basic. Filmed at Dance For 2 Studio, San Diego, California.